You’re all set to head along to one of the upcoming ’90s Mania concerts across the country, kicking off next Friday night in Perth and featuring Snap, Corona, C+C Music Factory and Culture Beat, right? And no doubt you’ll be wanting to ensure you can take a little of that magic home with you, beyond just a fuzzy bit of mobile phone footage which will be deleted in weeks? Enter ’90s Mania – the album. Yes, you’ll discover some of the aforementioned acts’ biggest hits, including ‘The Power’ and ‘Rhythm Is A Dancer’ (Snap), ‘Mr Vain’ and ‘Got To Get It’ (Culture Beat), ‘Things That Make You Go Hmmmm’ (C+C Music Factory) and ‘The Rhythm Of The Night’ and ‘Baby Baby’ (Corona), but it’s got plenty more ’90s dance realness, including Strike’s classic ‘U Sure Do’, Dr Alban’s celebratory ‘Sing Hallelujah’, Urban Cookie Collective’s radio hit ‘The Key : The Secret’ and La Bouche’s ‘Be My Lover’, among many others. Nick Skitz, who compiled the LP, also contributes an updated version of Twenty 4 Seven’s ‘Slave To The Music’. 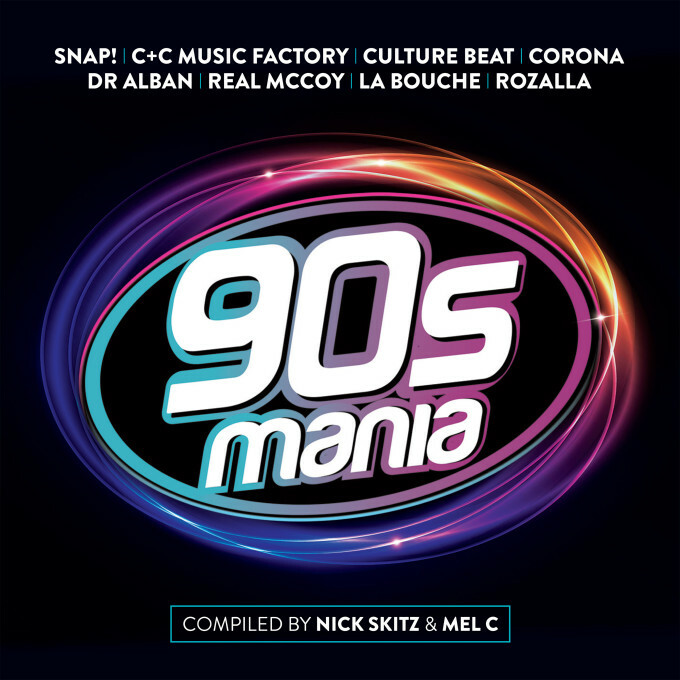 ’90s Mania – the CD – will be released on Friday March 25. 11. Dr Alban – Sing Hallelujah! According to his Facebook page, still in Sweden!